The Kentucky Derby is a horse race that is held annually in Louisville, Kentucky, United States, on the first Saturday in May, capping the two-week-long Kentucky Derby Festival. NBC currently broadcasts it in its entirely along with pre- and post-show features. Classic Empire and Always Dreaming headline the field at the 143rd running of the Kentucky Derby, the first jewel of horse racing's Triple Crown and "the most exciting two minutes in sports.'' 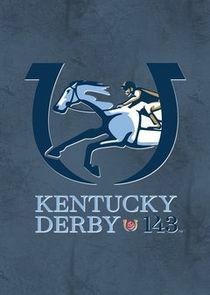 From Churchill Downs in Louisville, Ky.